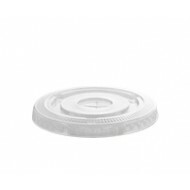 Pack of 100 Clear plastic flat lid with slot. 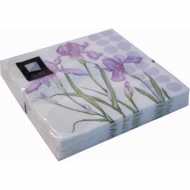 Fits 8 -10 oz Cups Measures: 78mm ..
Gold 3ply Napkins 33cm (20pk) Pack of 20 13in x 13in 2Ply Complete the look of you..
Lilac Iris 3ply Napkins 33cm (20pk) ..
A pack of 12 Luxury finishing touches ready folded napkins measuring approximately 60cm x 40cm. 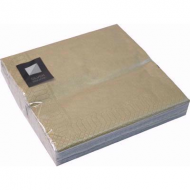 These thick luxury linen feel kingsize napkins add instance elegance to every occasion especially ideal for weddings. 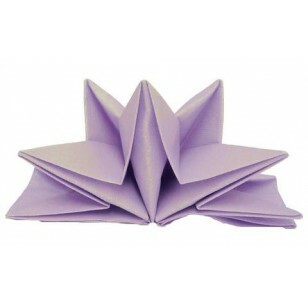 Just open napkin like a book, then place completed star shaped napkin on a flat surface, saving you time and money.